Finally, a vacation! Sifting through brochures for local events and attractions, you discover an impressive, medieval castle that`s just dying to be explored. But, upon entering, the massive, wooden door locks behind you! The castle is full of mysteries - can you solve all of the puzzles in time to escape this tourist trap! 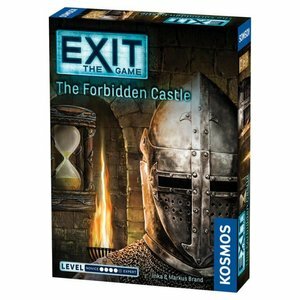 Exit: The Game brings the hit Escape-Room concept for home use! In this party game for up to six players, you must solve a series of riddles and puzzles to escape.